What an incredible few weeks it has been! 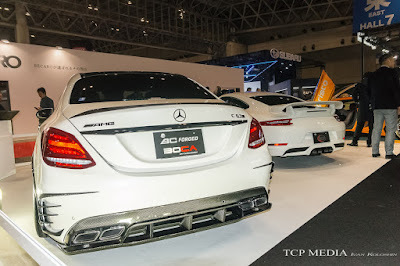 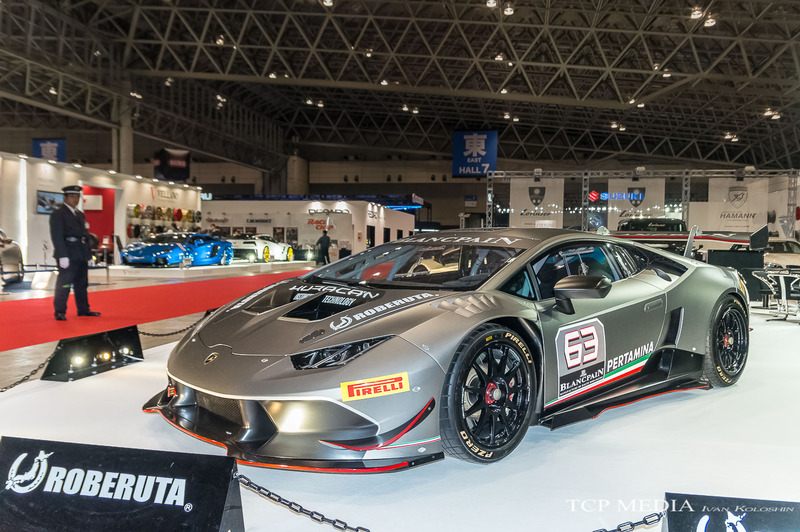 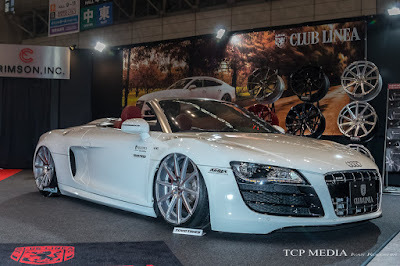 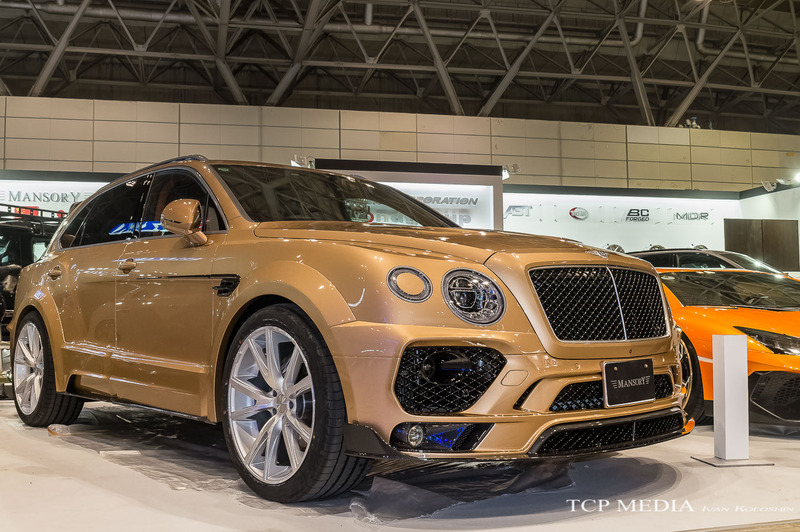 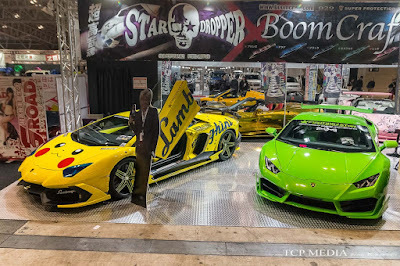 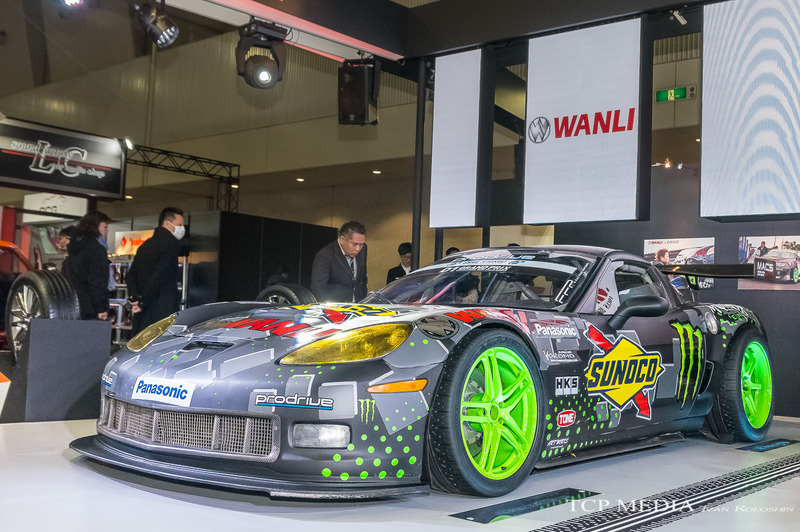 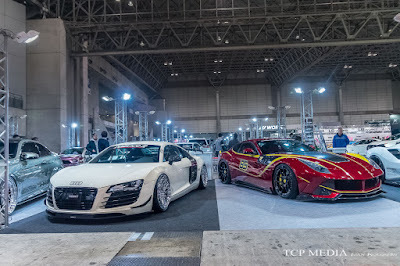 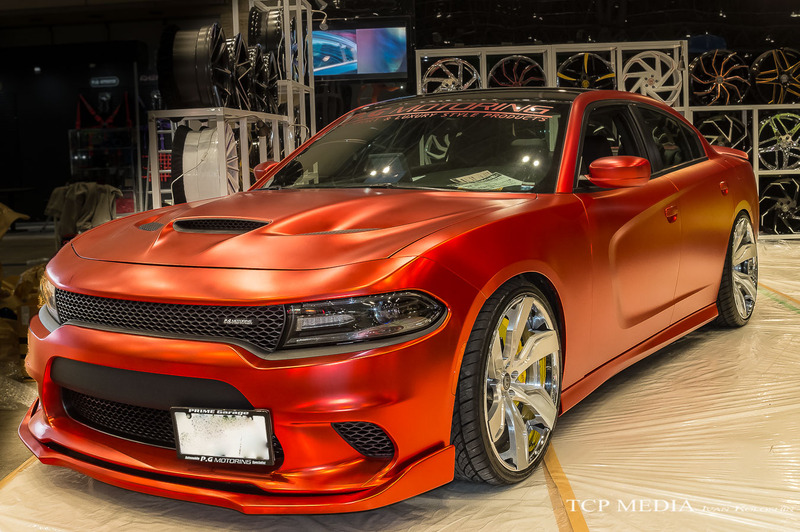 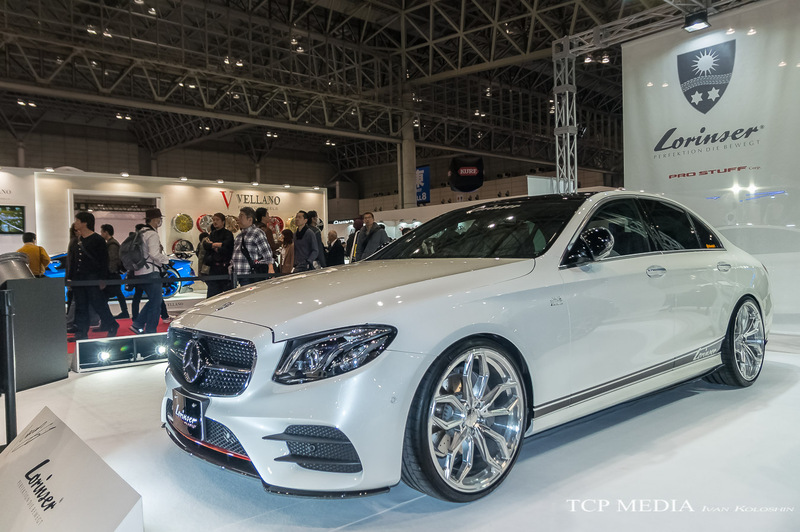 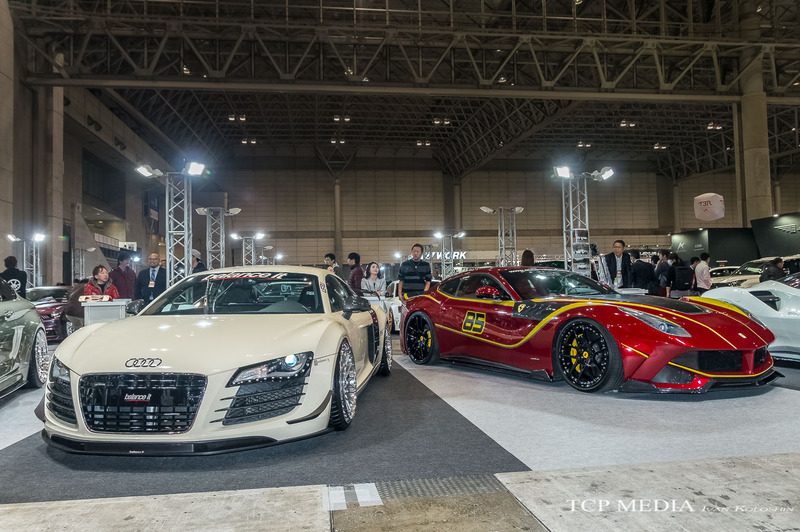 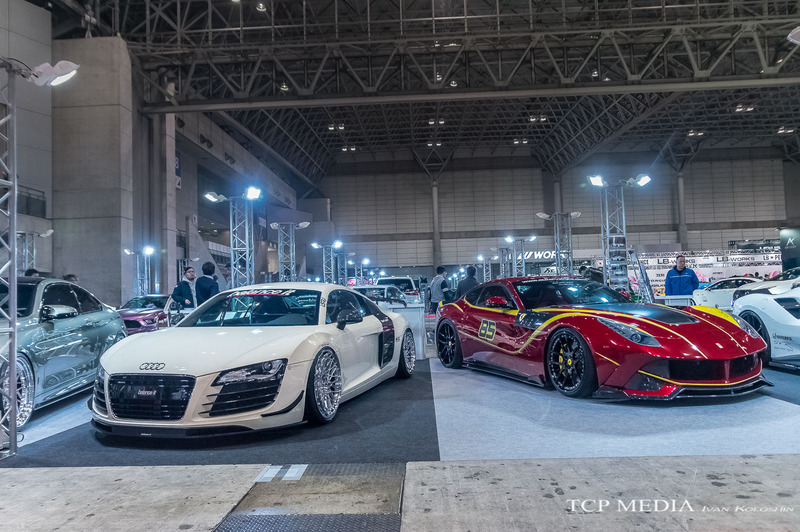 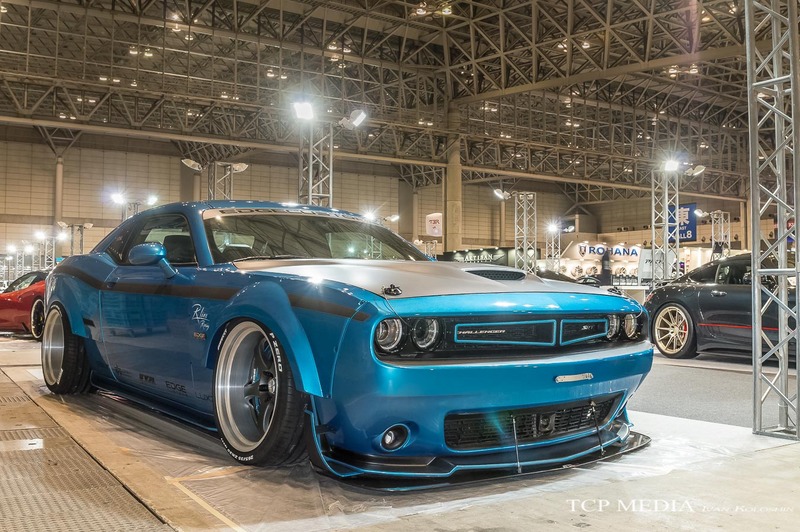 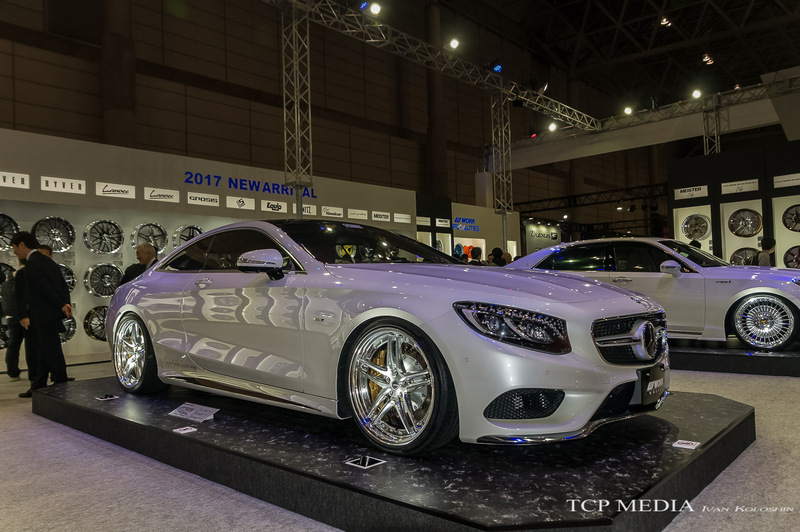 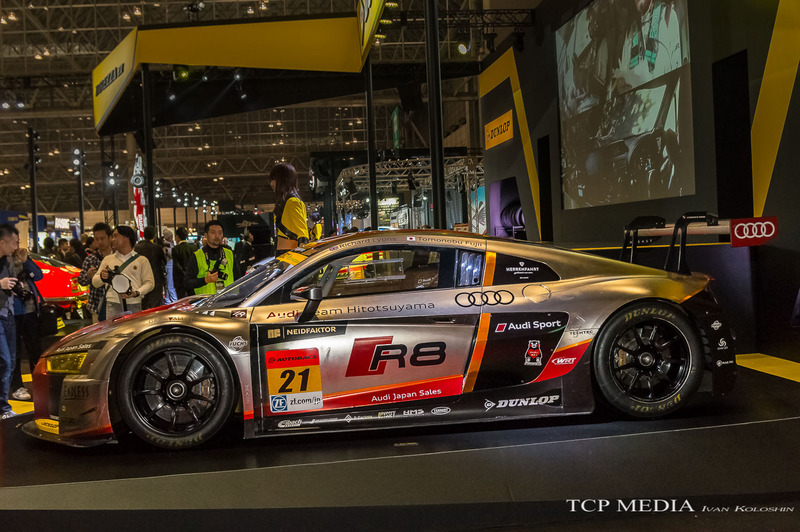 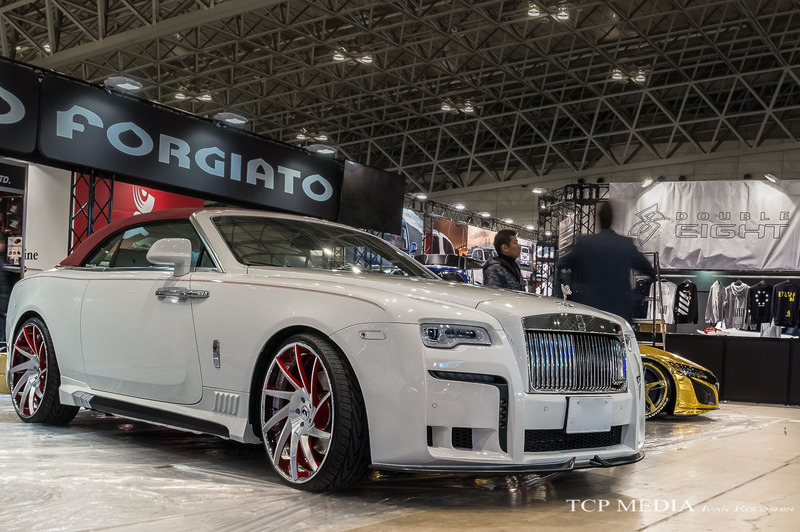 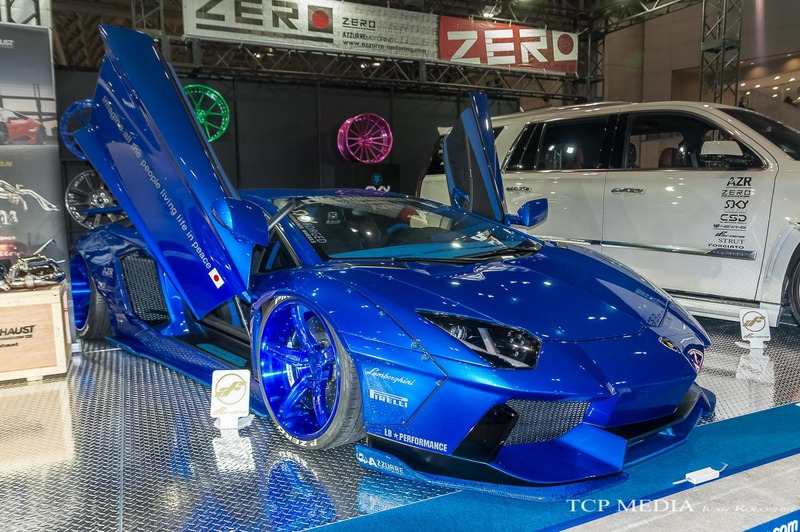 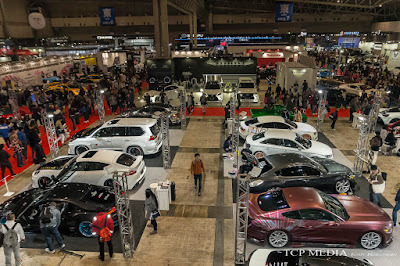 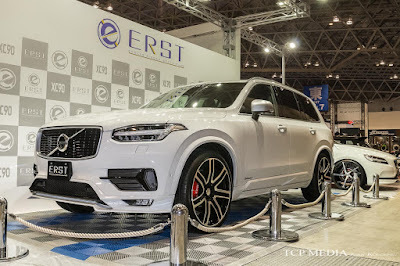 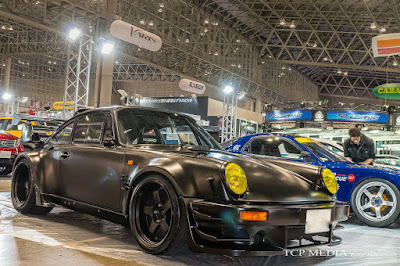 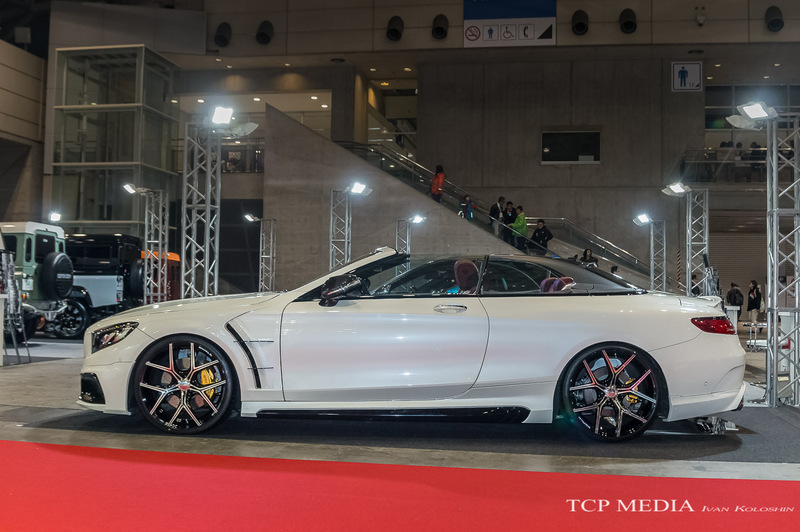 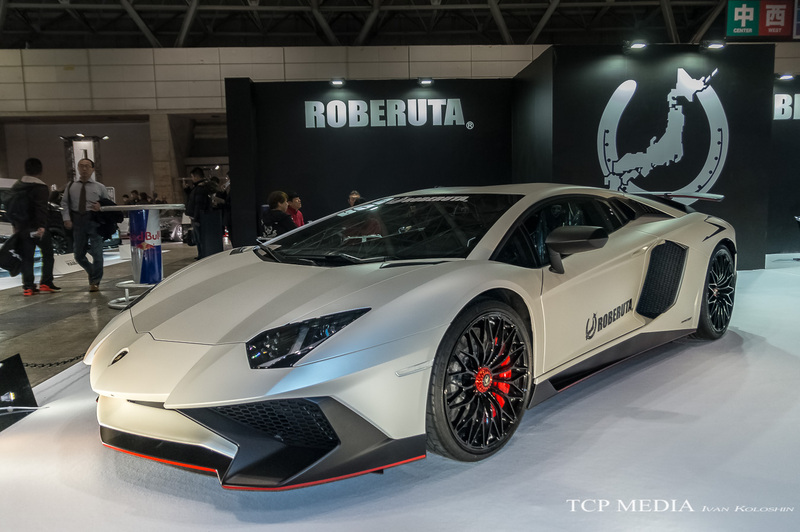 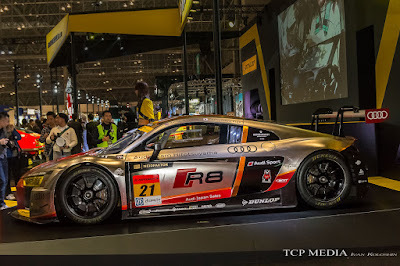 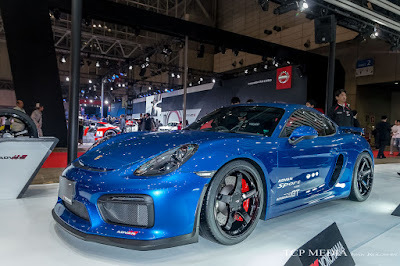 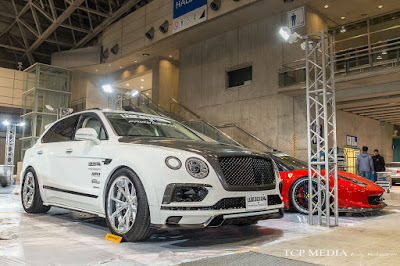 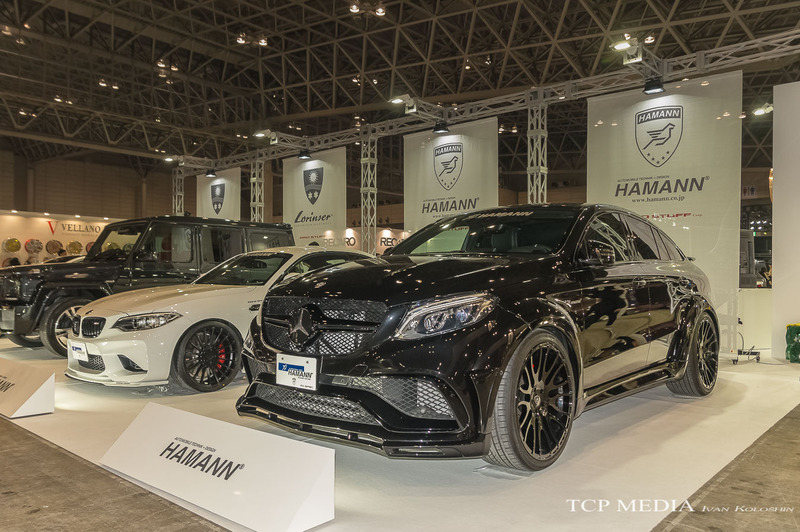 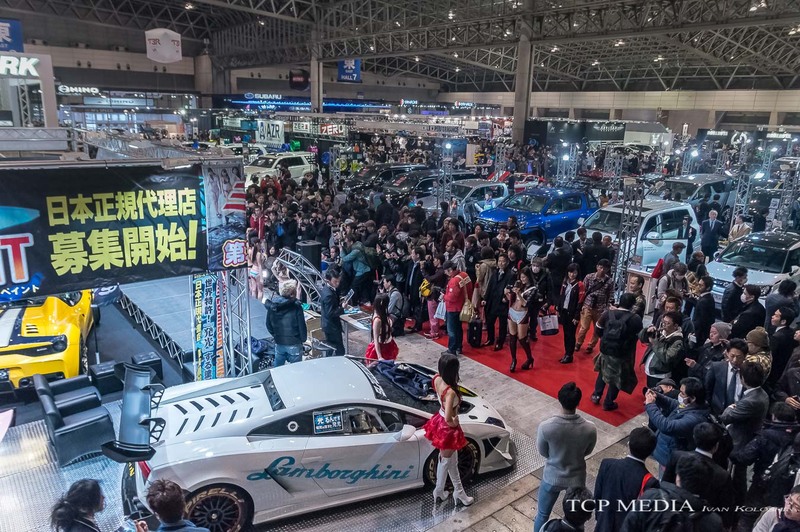 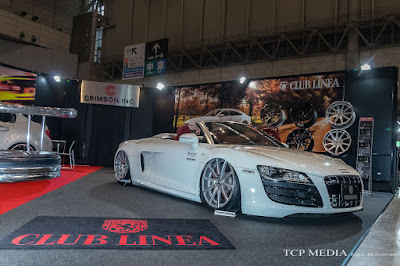 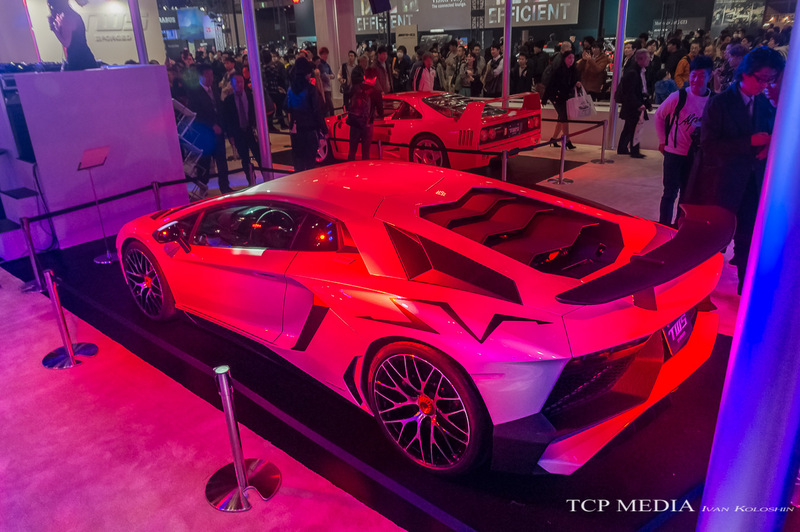 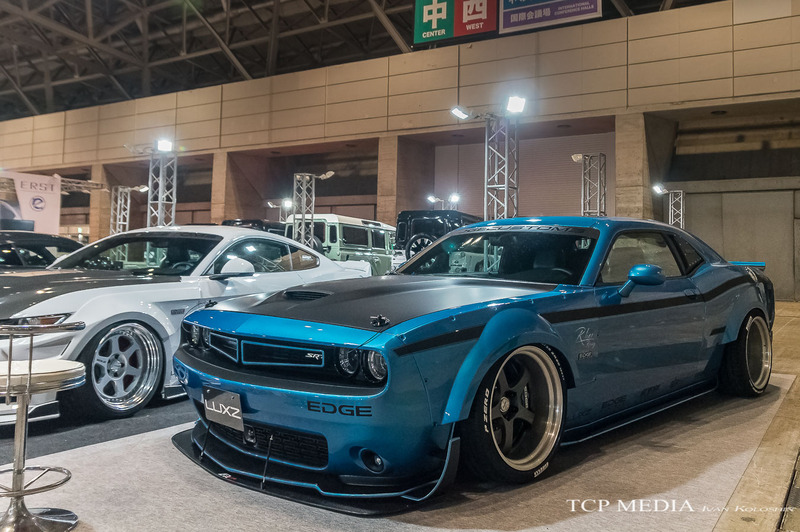 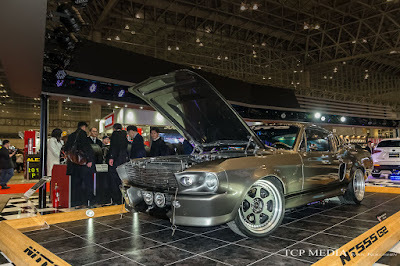 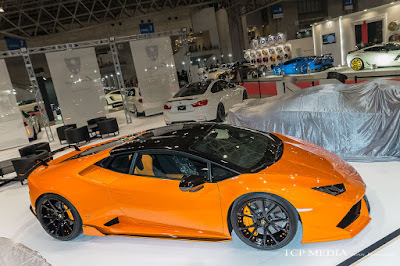 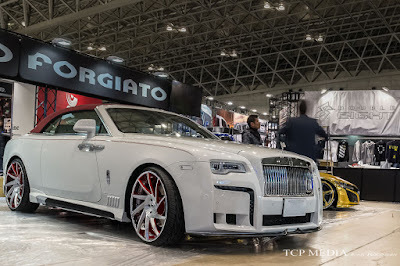 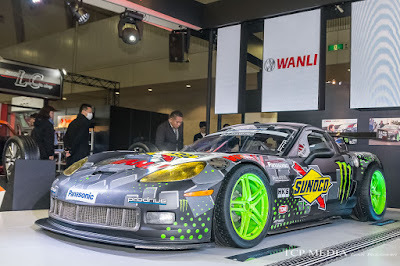 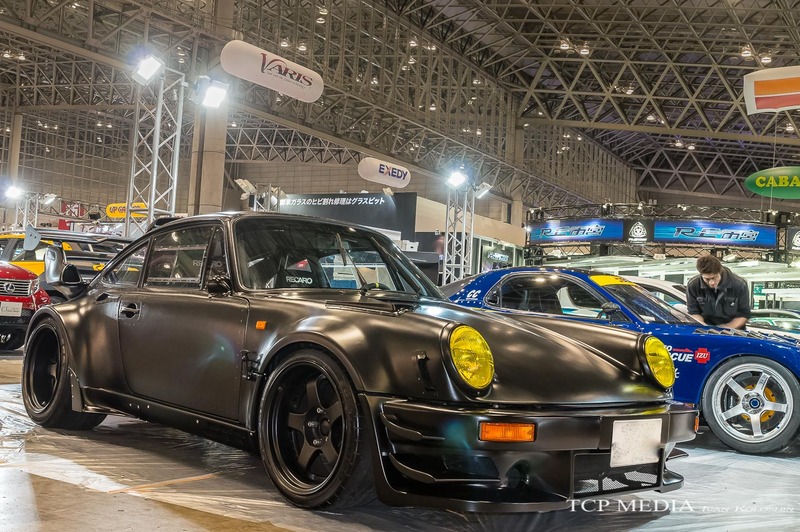 After visiting this year's Tokyo Auto Salon, were are able to reflect on some of the hottest JDM rides, check out most of the BMW's, and now we are onto the final, and probably most flashy part: Imports and Supercars. it is evident that the sphere of interest has shifted from local stuff to offerings from around the world. 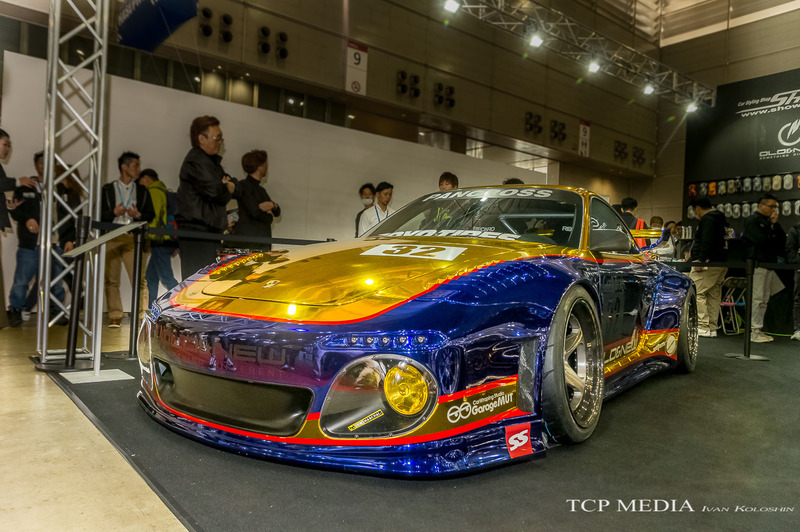 Many old school JDM tuners have jumped into bandwagon and offer parts and upgrades to exotics. 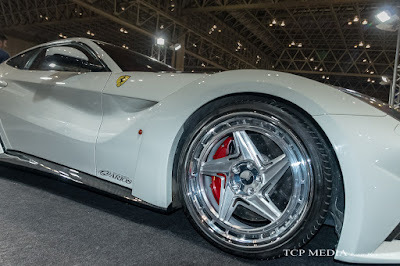 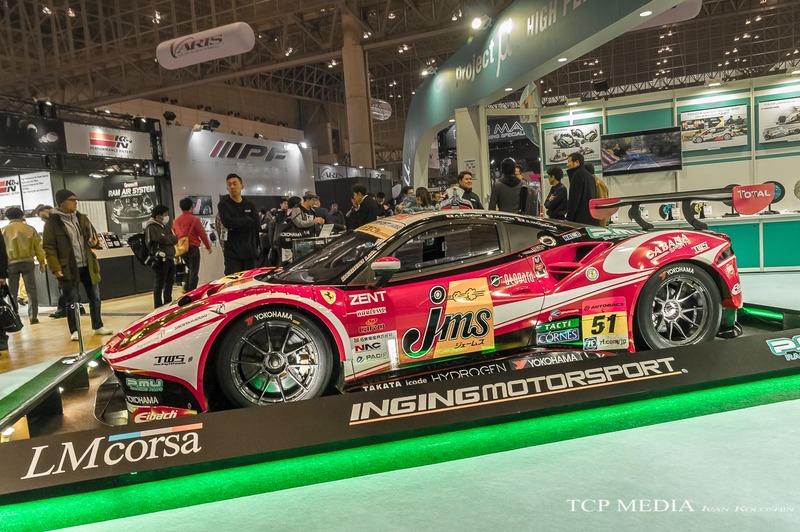 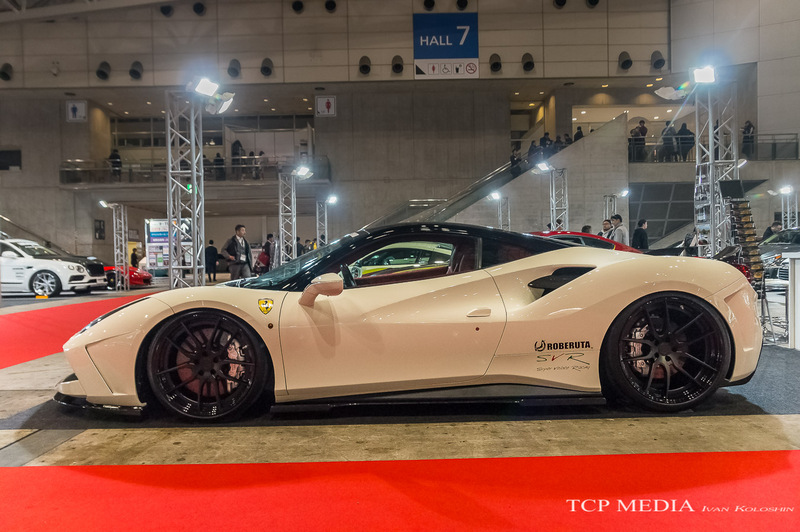 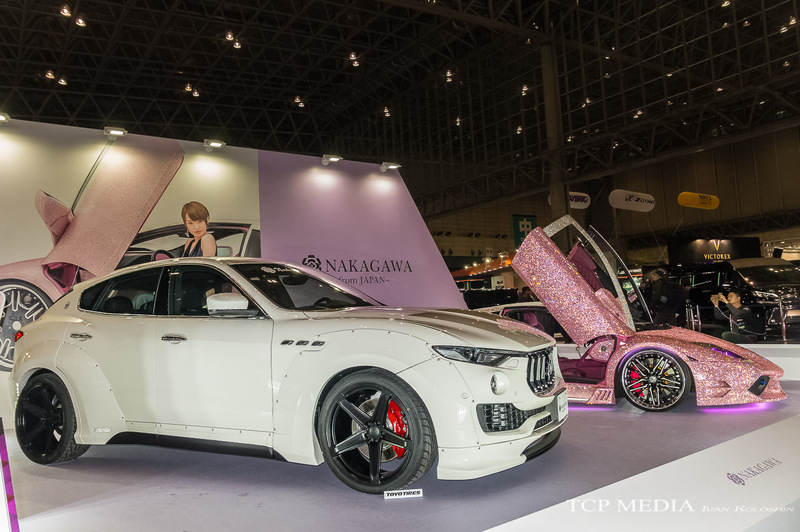 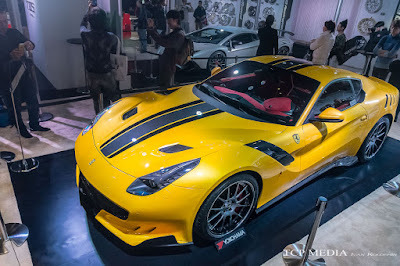 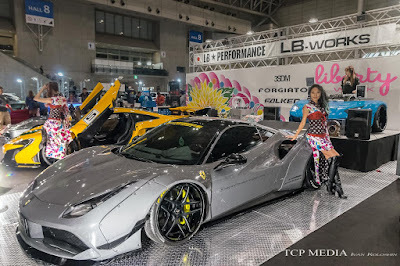 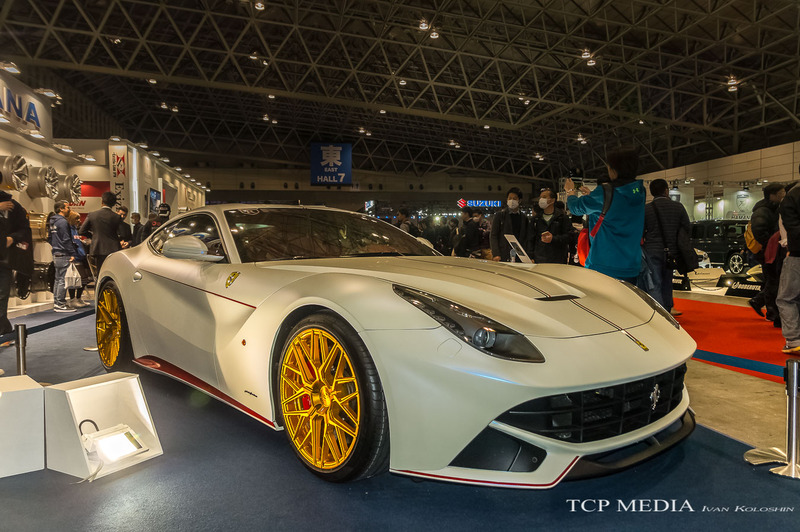 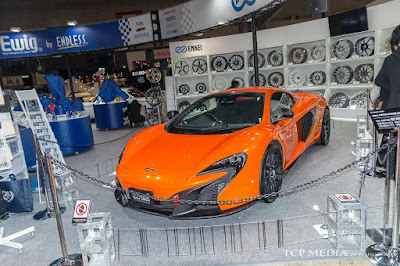 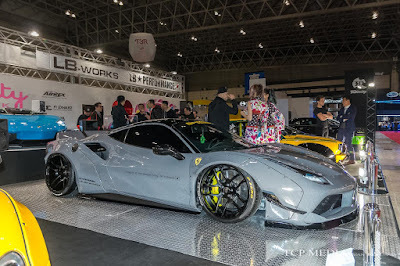 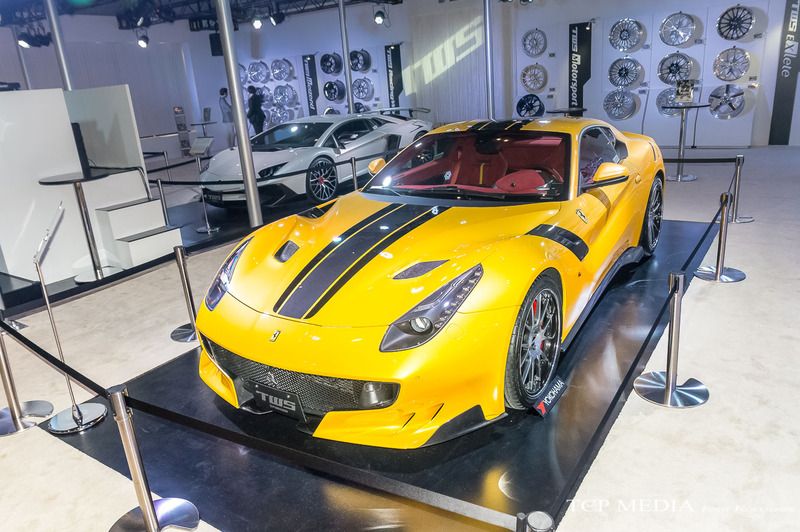 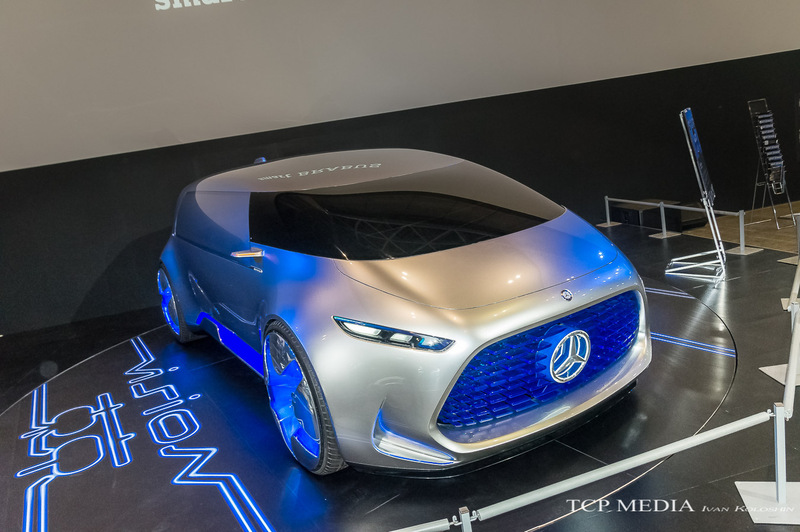 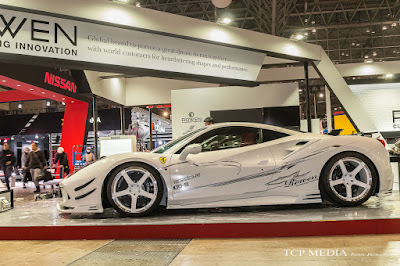 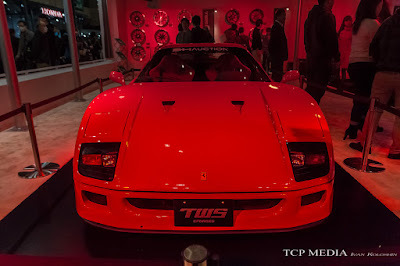 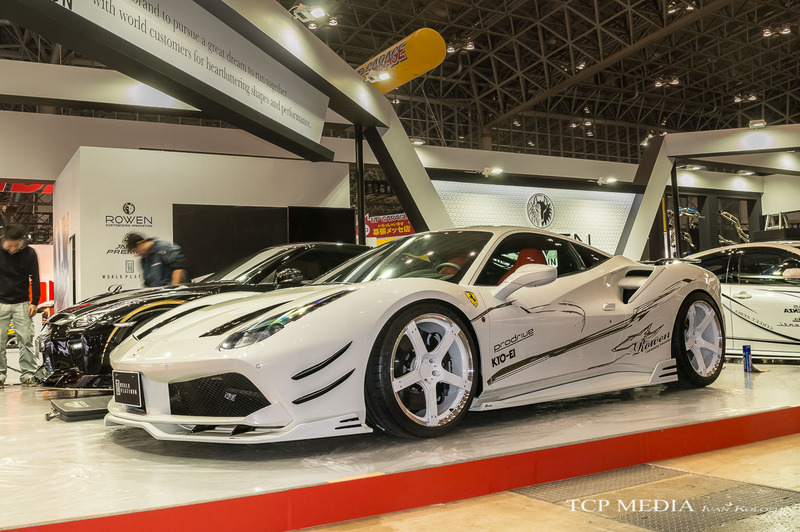 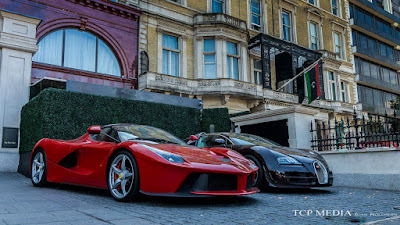 One such firm is Rowen, formely known as Tommy Kaira, they take their design clues from the world's best and while keeping their legacy sphere of interest in the corner, their main attraction for this year's show was the 30 million yen Ferrari 488. 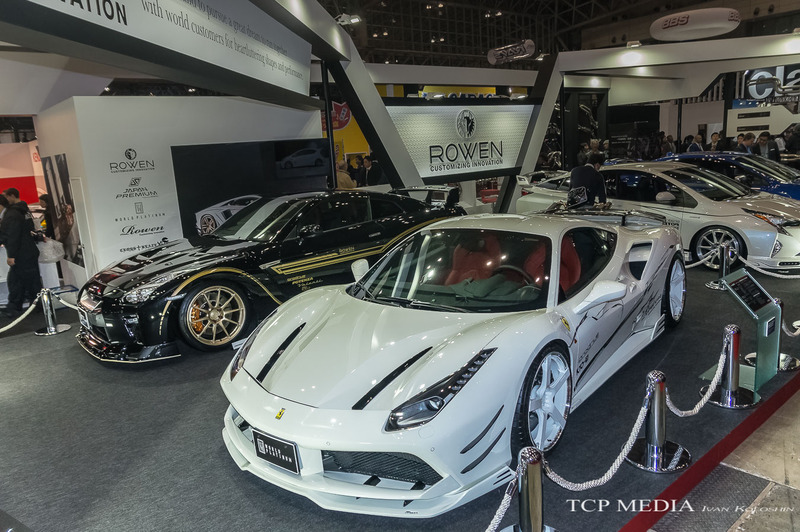 With use of Prodrive wheels and custom suspension Rowen has designed a body kit for Ferrari 488 that is both elegant and sporty. 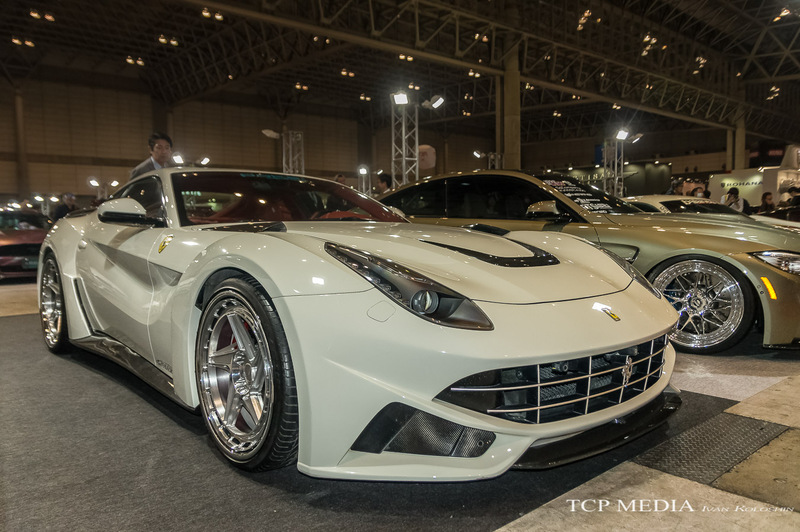 The simple yet distinct lines of the body kit combining with the color scheme made this one of the best looking Ferrari's of the show. Speaking of 488, perhaps nothing is as "in your face" as this creation by Wataru Kato and his team at Liberty walk. 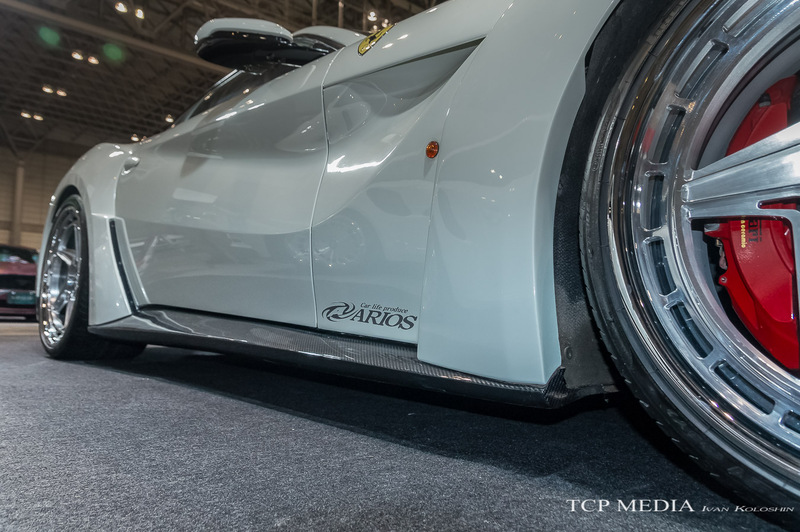 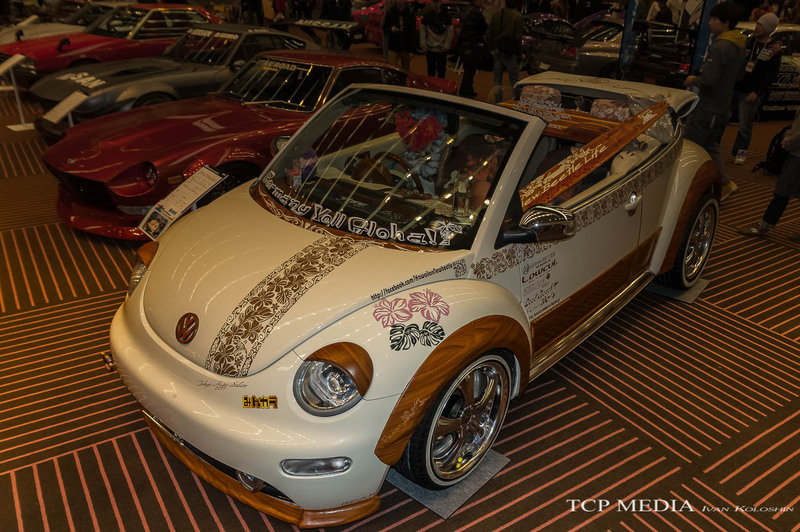 Custom carved fenders, Forgiato wheels, AirRex suspension - it just doesn't get more badass than this. 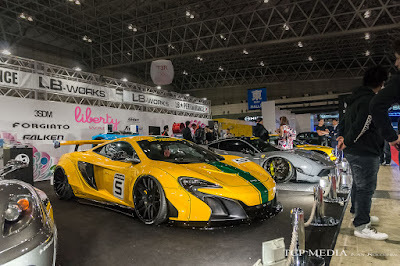 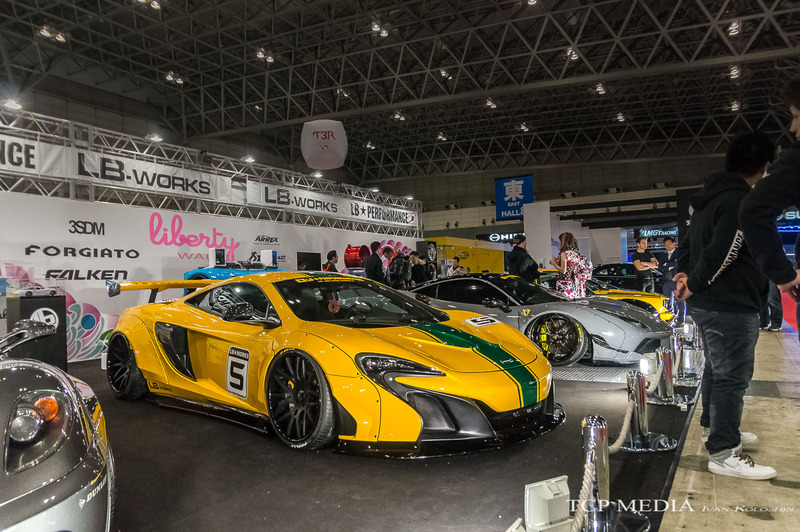 Or this... We have already seen the Liberty Walk wide body kit for the McLaren 650S at SEMA, but seeing one with racing livery sets it apart from the usual "stance" appeal of LBWalk cars. 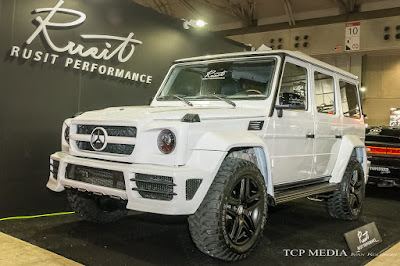 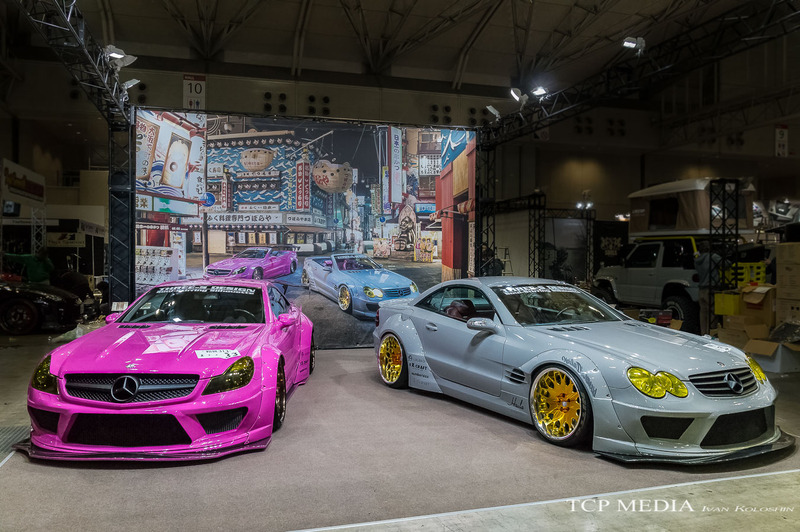 But Liberty Walk weren't the only one taking boldest approach to customization. 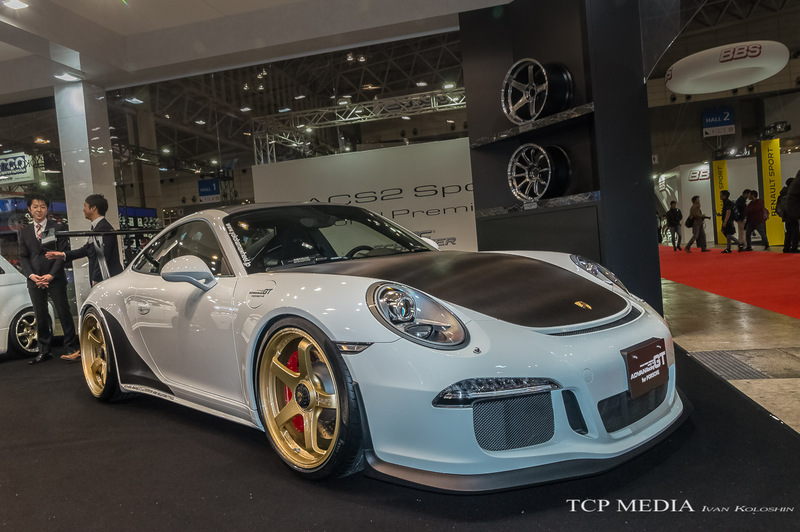 Returning from SEMA as well, but with completely new look was the Slant Nose Porsche 997 by Old & New. For some builders, like Naohiro Otsuka from Check Shop, it's all about small details, as his pure pedigree track monster 997 was for some odd reason fitted with roof rack. 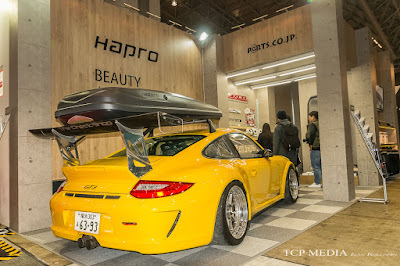 Whatever floats your boat, I guess. 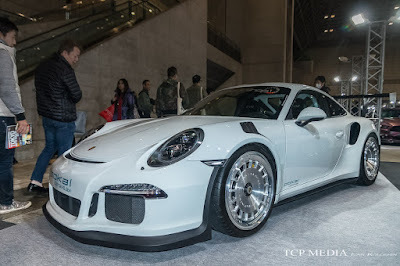 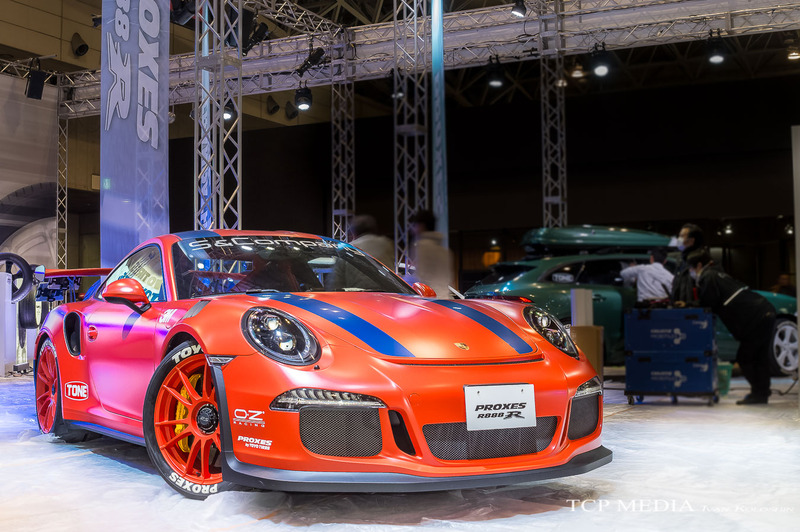 On display in adjacent hall was his personal 991 GT3RS with Pokal wheels, StopTech brakes, and JRZ coils. 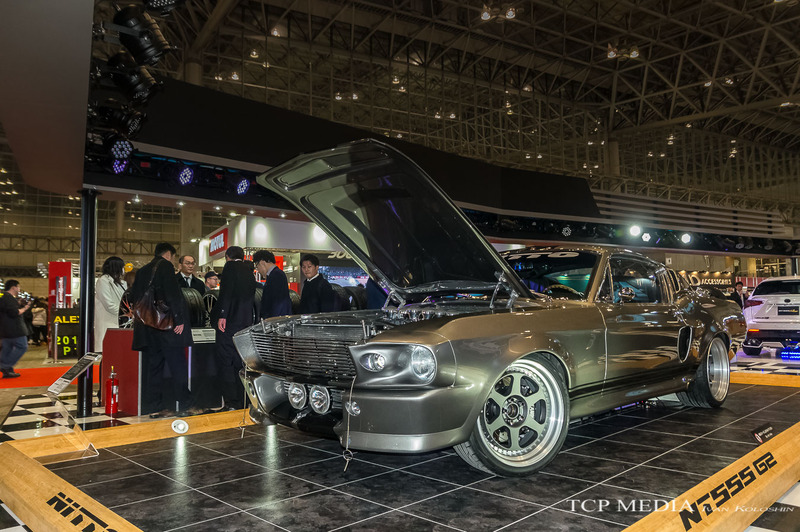 On top of that, Otsuka-san fitted custom bucket seats as well. 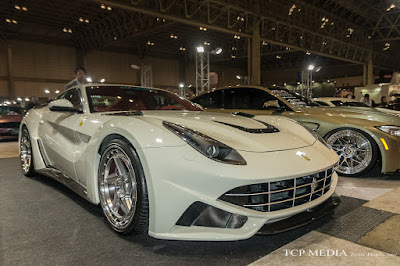 as these unorthodox deign wheels made their way onto a Ferrari F12 with Novitec Design body kit. Unorthodox, these wheels may be, but once you take a closer look, the ingenuity and creativity behind the design of these wheels become apparent. 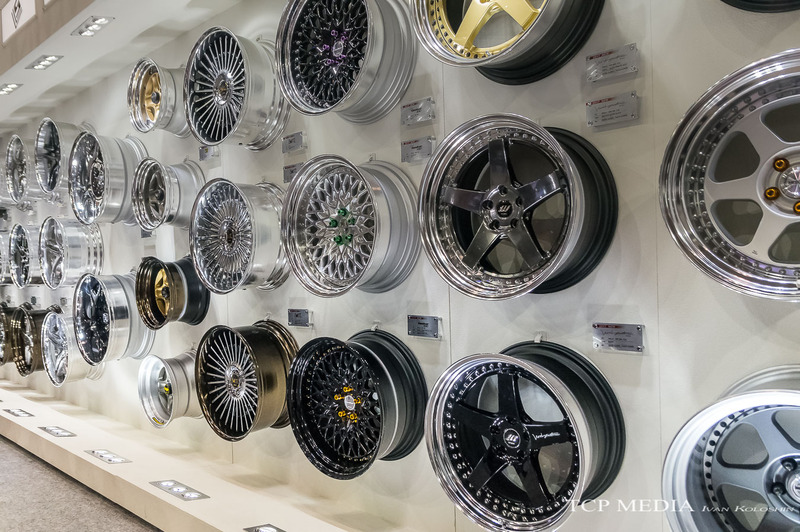 The polished steel look is great to display the shape and emphasize the holes present in each of the five spokes and inner rims, which were created to save weight by reducing rotating inertia. 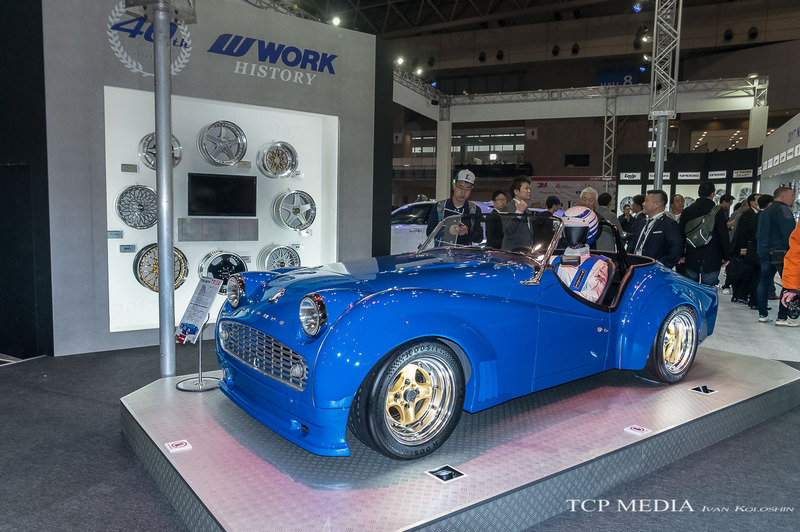 Even for new Work Equip series, which are usually synonymous with vintage JDM, Work has chose a custom built Triumph TR2. 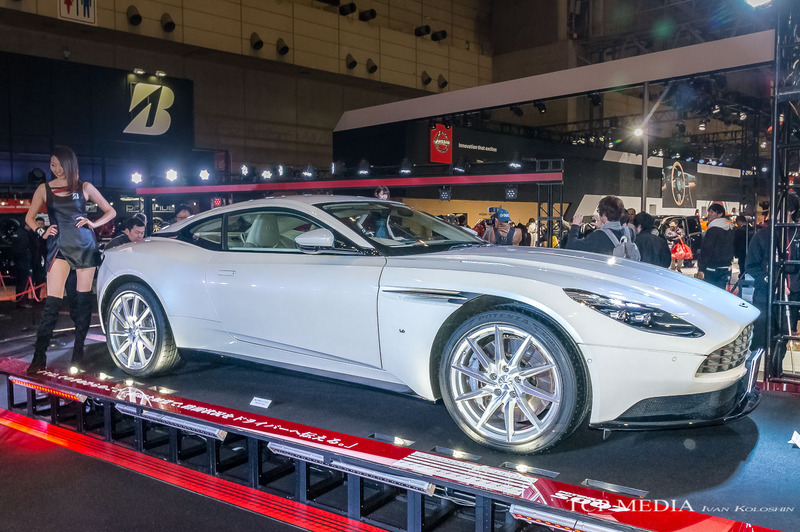 Nearby, Bridgestone has used this gorgeous Aston Martin DB11 to show off their new product: High Performance Summer Tyre: S007. 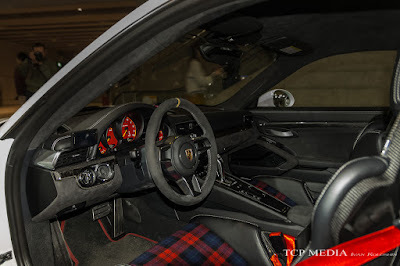 I see what you did here, Bridgestone! 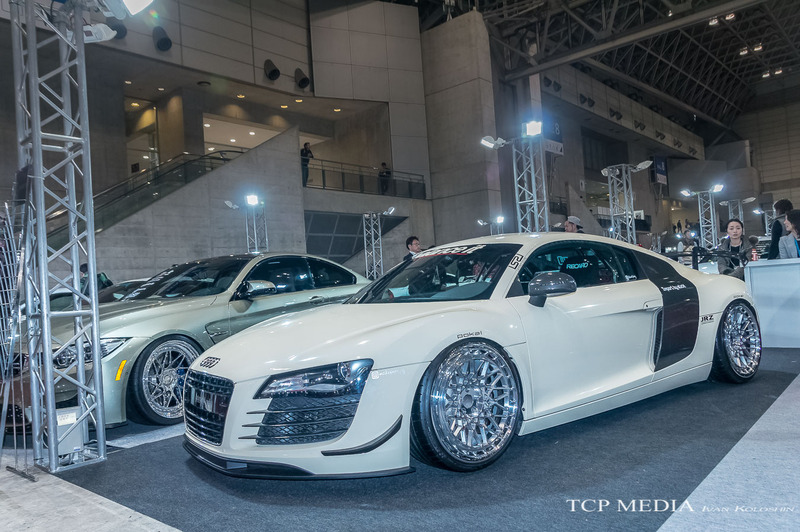 Walking past this beauty without dropping your jaw is simply impossible. 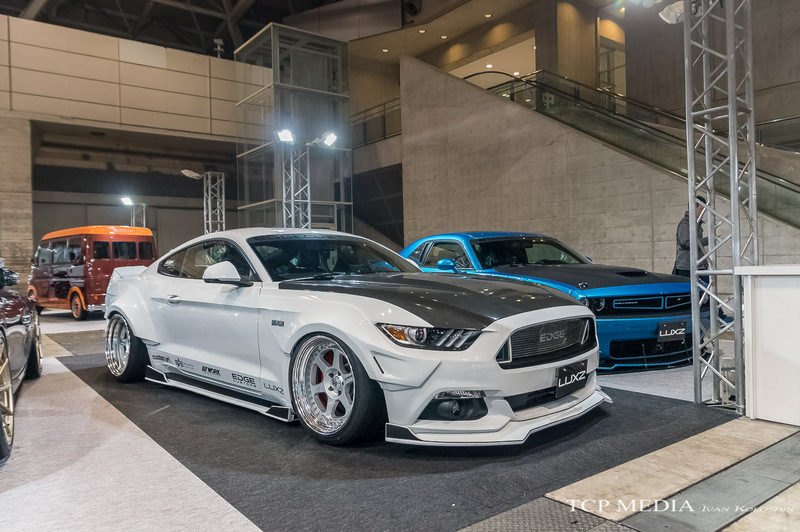 This Shelby Mustang GT350 "Eleanor" was brought to Japan by Fusion Motor Company and then chucked back on a plane to be sent back to its homeland and featured at Barrett Jackson Auction. 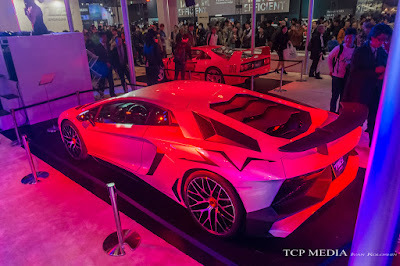 It was truly one of a kind opportunity to see this amazing build in person. 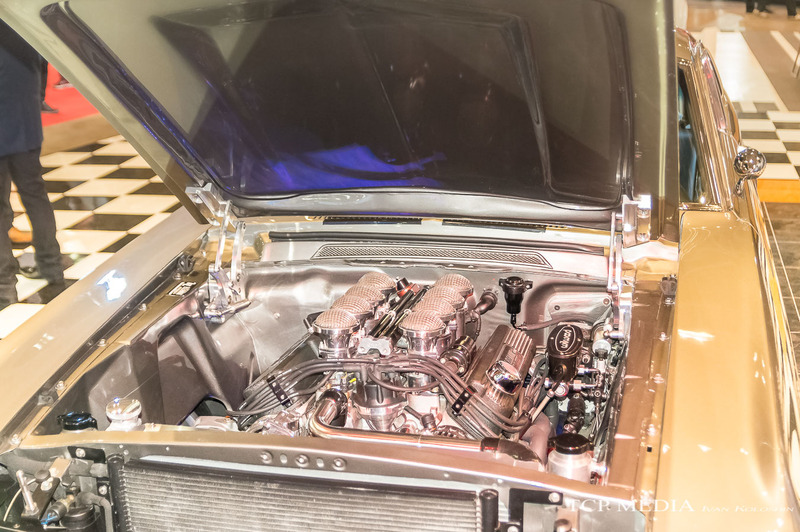 Then egine featuring a number of mods, including the ITB setup was a true work of art. 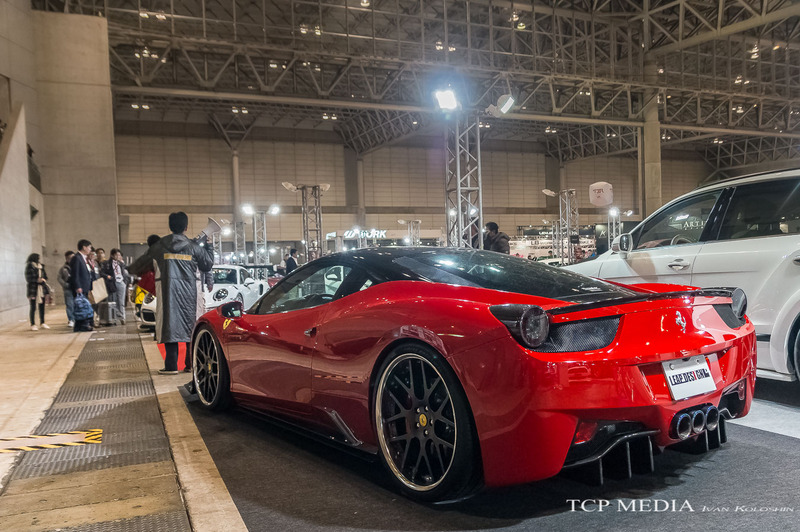 and with such a vast variety of cars for different tastes and minds I can only look forward to 2017 turning out to be an exciting year for car enthusiasts across the world.